Knight had a panic attack after he learned the surgery was canceled and was given anti-anxiety medication to treat it. He was discharged within half an hour and “was required to sit outside the Hospital alone, under the influence of medication administered by the Hospital, and experiencing a panic attack, until he was able to secure a ride home,” the lawsuit states. He was able to have the surgery a few days later at Mad River Community Hospital in Arcata, where Stokes also has surgical privileges. But that hospital is farther from Knight’s home, and he contracted an infection there. The lawsuit contends that St. Joseph Hospital violated California’s civil rights law, which bans discrimination based on gender identity as well as other traits. It seeks to prevent the hospital from engaging in such discrimination and to pay Knight an unspecified amount in damages. “The refusal of St. Joseph to allow a doctor to perform a medically necessary procedure because the patient is transgender is discriminatory,” said Jessica Riggin, a partner at the law firm of Rukin Hyland & Riggin, in an ACLU press release. “This is a hospital that is open to the general public, so even though it’s religiously affiliated, it’s illegal for them to turn away someone based on gender identity. Everyone should be able to get the care they need.” Her firm is assisting the ACLU’s Northern and Southern California affiliates in the suit. “At St. Joseph Health, we believe health care is a basic human right and that every individual seeking care should always be treated with compassion and respect,” the statement continued. St. Joseph Health runs five hospitals in Northern California and is owned by Providence St. Joseph Health Network, which operates 51 hospitals around the nation. 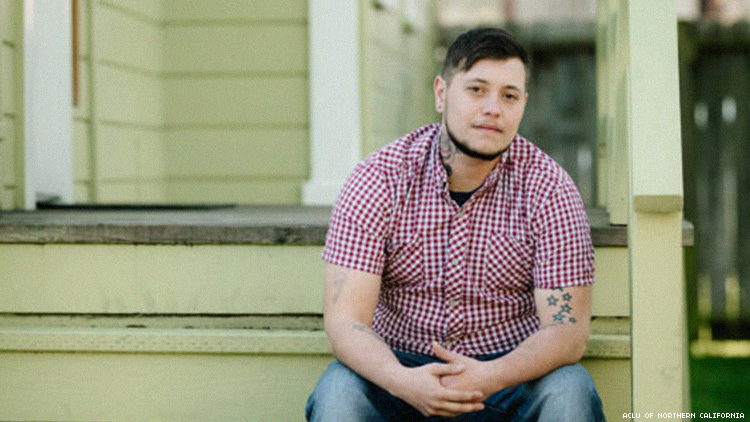 A transgender man from Sacramento sued another Catholic health care organization, Dignity Health, in 2017 for denying him a hysterectomy. A court has ruled in favor of Dignity, but the ruling is being appealed.